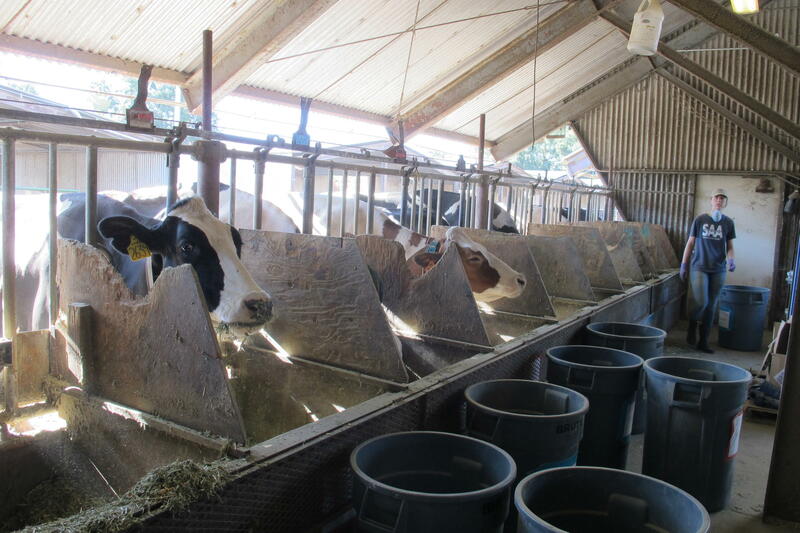 Researchers at the University of California, Davis are testing whether adding seaweed to cows' feed reduces methane emissions. The scientists found a dramatic reduction in methane emissions from the cows that ate seaweed. There's a pen at the University of California, Davis, where scientists were closely observing 12 research cows on a recent morning. Each animal is known by a four digit number — except for the friendliest one. "We just call her Ginger, she's the only one with a name," laughs graduate student Breanna Roque. On this morning, Roque is mixing up breakfast for the research cows. She's pulling out dark, gooey clumps of a seaweed species called Asparagopsis armata. "I'll sprinkle it in, I'll kind of rub it together with the hay, mix it around, and then we actually come through and pitchfork the whole ration," she says. Roque adds a little bit of molasses, too, which the cows seem to appreciate. She mixes it all thoroughly because some cows don't like the salty seaweed taste. As animal science professor Ermias Kebreab, who is leading the experiment, puts it: "It only works if they consume it." Kebreab says that as cows digest their fibrous food, methane is produced by microbes in the rumen, the first chamber of the cow's four-part stomach, in what he calls a "natural process of fermentation." It's kind of like how yeast produces carbon dioxide in beer. The cows then burp that methane out, into the atmosphere. He says belches are a bigger problem than farts: "Over 95 percent, actually, is from the mouth, from the front end of the cow." Kebreab says they're hoping that the seaweed can inhibit an enzyme that's involved in producing methane in a cow's gut, a chemical reaction discovered by researchers in Australia. To test the theory, the researchers divided the cows into three groups. One of the groups received a "high dose" of seaweed, amounting to 1 percent of its feed. Another received half that, and the final group received no treatment. The cows lumber up, each heading to its own specially prepared meal. 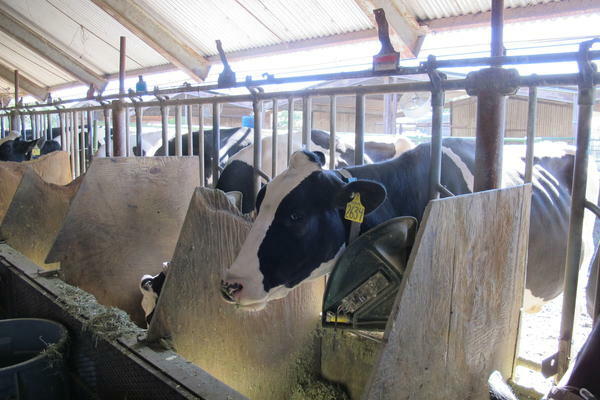 They've been taught to come to the same stall every time to feed, unlocking it with a yellow sensor dangling around their necks. Roque says: "When it has to do with feed, they can be trained." To test whether the seaweed is working, the cows use a kind of breathalyzer at least three times a day, where they eat a cookie as they stick their heads into a machine that measures the gases in their breath. This is the third time they've run the experiment, each for a period of two weeks. Kebreab says they noticed a difference in emissions right away. "The results are almost immediate. You give [it to] them this day, and the next day you see the reduction." And the drop in methane was even more than they expected. He remembers the first numbers coming in. "When Breanna was sending me these results, I was like, are you sure?" Kebreab says. Their experiment found that the high dose of seaweed reduced methane production by more than half, what he describes as a "dramatic reduction in methane emissions." At the high dose of seaweed, the researchers also noticed a small drop in the amount of feed the cows were eating and the amount of milk they were producing. "It's basically the palatability issue. It's something that they haven't had before, and when you have it at 1 percent they smell it. It smells like the ocean, I guess," says Kebreab. "That's why our next work is going to be how to deliver the seaweed so they don't notice it." The researchers recently presented their findings at the annual meeting of the American Dairy Science Association in Knoxville, Tenn.
Another crucial question that the team worried about is whether the seaweed diet would change the taste of the cows' milk. Even with a dramatic reduction in emissions, most people aren't looking for a salty umami twist in their milkshakes. So they brought in 25 panelists for a blind taste test. Joan King Salwen is a founder of Elm Innovations, a nonprofit trying to explore the adoption of this technology if it proves scientifically sound. "The panelists report no 'off-notes' – no unexpected flavors or odors," Salwen says. "It was certainly a relief that the sample milk tasted just like milk, rather than seaweed or salt or fish!" The researchers even tasted ice cream made out of the milk, which Salwen says was delicious. 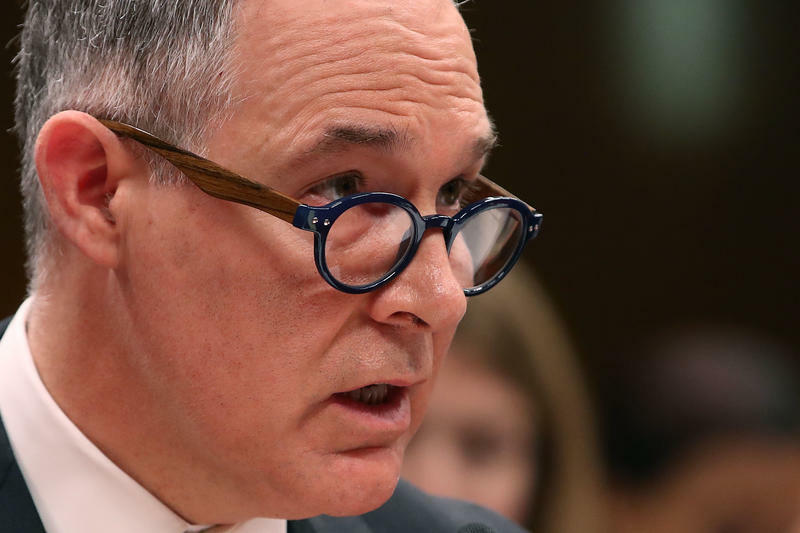 This emissions news could be particularly helpful for the livestock industry in California, where the state has introduced a plan that aims to cut methane emissions by 40 percent from 2013 levels by 2030. There's still a long way to go before the seaweed treatment can be implemented at scale. The scientists are analyzing whether the seaweed changes the nutritional content of milk. They're also planning an experiment over a longer time span, this time with beef cattle instead of dairy. Kebreab says it will aim "to understand the long-term effects of seaweed on the health of the animals and the productivity of the animals." And if all goes well, scientists and the livestock industry will have a new puzzle: What's the best way to grow a whole lot of seaweed? "There's a great deal of work that needs to be done looking at the scaling up of growing Asparagopsis as a crop," Salwen says. "There always are unintended consequences of large-scale business innovations." Because the point of this research is to help the environment, she says they want to be sure to avoid inadvertent side effects, such as harming ocean ecosystems or creating additional emissions from shipping. And should the seaweed treatment become widely adopted, Salwen wants to make sure that farmers themselves do not end up bearing the full cost of "providing something that is in our common and shared interest." Livestock is a major source of greenhouse gases around the world. Scientists have been trying to find ways to reduce emissions from cows, and they think they might have found a solution in the ocean. NPR's Merrit Kennedy explains. MERRIT KENNEDY, BYLINE: There's a pen at University of California, Davis where scientists are closely observing 12 research cows. Each is known by a four-digit number, except for the friendliest one. BREANNA ROQUE: We just call her Ginger. She's the only one with a name. KENNEDY: When cows like Ginger burp, out from their gut comes a lot of methane. It's a potent greenhouse gas, and livestock is one of the largest methane emitters in the U.S. These scientists are trying to reduce the emissions by tweaking the cow's diet. On this morning, graduate student Breanna Roque is mixing up breakfast for the research cows, and she's adding a secret ingredient. ROQUE: So I'll sprinkle it in. I'll kind of rub it together with the hay, mix it around, and then we actually come through and pitchfork the whole ration. KENNEDY: We'll get back to what Roque is adding in a minute, but first, why is it that cows emit methane? Animal science professor Ermias Kebreab, who is leading the experiment, says that the chemical reaction happens in the first chamber of the cow's four-part stomach. It's actually microbes living in the stomach that produce the methane, kind of like how yeast produces carbon dioxide in beer. ERMIAS KEBREAB: It's a natural process of fermentation. KENNEDY: The cows burp that methane out into the atmosphere. He says belches are a bigger problem than farts. KEBREAB: Over 95 percent actually is from the mouth, from the front end of the cow. KENNEDY: Which brings us back to that secret ingredient. What is it? Seaweed. Kebreab says they think seaweed has a chemical in it that can keep down methane levels in a cow's gut. To test it, they're feeding cows different amounts. UNIDENTIFIED PERSON: Coming out now. KEBREAB: Yep. There they are. KENNEDY: The cows lumber up, each heading to its own specially prepared meal. Some cows don't like the salty taste of seaweed, so Roque added a little bit of molasses, too, which they seem to appreciate. To test whether the seaweed is working, the cows take a methane breathalyzer test at least three times a day. When they stick their heads in a machine that measures the gases in their breath, they get a cow cookie. ROQUE: Well, when it has to do with feed, they can be trained (laughter). KENNEDY: Kebreab says they noticed a difference in emissions right away. KEBREAB: And the results are almost immediate. Like, you give them this today. The next day, you see the reduction. KENNEDY: And the drop in methane was even more than they expected. He remembers the first numbers coming in. KEBREAB: When Breanna was sending me those results, I was like, are you sure? KENNEDY: Their experiment found that the high dose of seaweed reduced methane production by more than half. KEBREAB: There's no doubt. There's - it's quite a dramatic reduction in methane emissions. KENNEDY: But a dramatic reduction in emissions wouldn't do much good if it changed the taste of the cow's milk. Most people aren't looking for a salty, umami twist in their milkshakes, so researchers conducted another experiment. They brought in 25 panelists for a blind taste test who said the milk tasted normal. The relieved research team celebrated and made ice cream. It was also apparently delicious, but there's a long way to go. The scientists are analyzing whether the seaweed changes the nutritional content of milk. They're also planning an experiment with beef cattle instead of dairy. And if all goes well, scientists and the livestock industry will have a new puzzle. What's the best way to grow a whole lot of seaweed? Merrit Kennedy, NPR News, Davis, Calif. Transcript provided by NPR, Copyright NPR.